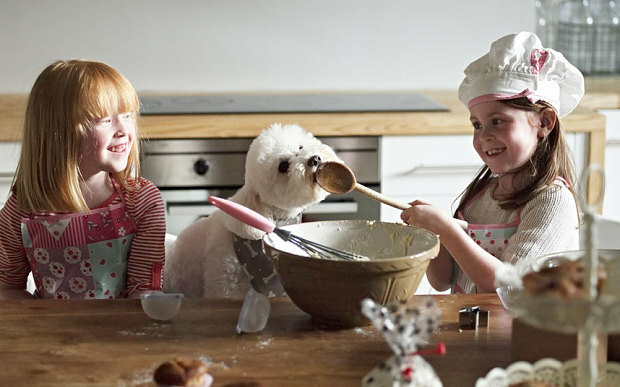 The sweet smells of the holiday season wouldn’t be complete without the comforting air of cookies, candies, and confections baking away in our homes. However, many of our favorite seasonal indulgences contain chocolate or cocoa, making them not-so-friendly treats for our pets. 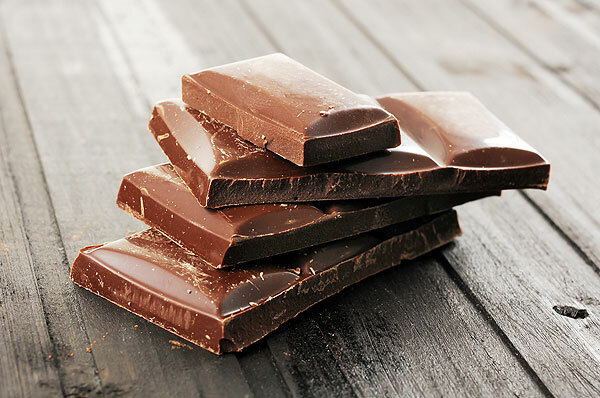 Chocolate consists of two chemical compounds that are toxic to dogs – theobromine and caffeine. Theobromine is particularly harmful because dogs metabolize this compound much more slowly than humans. A toxic dose can cause vomiting, diarrhea, hyperactivity, tremors, seizures, cardiac arrhythmias and death, in severe cases. This does not mean every time your dog accidentally ingests chocolate they will become ill. It all depends on the type of chocolate, amount ingested, and the size of your dog. For example, unsweetened baker’s chocolate contains 8-10 times the amount of Theobromine than milk chocolate. Chocolate bars and chips that are popular in baking are made from unsweetened baker’s chocolate. The packaging is commonly labeled with the percentage of cocao (and subsequently,Theobromine) it contains. For example, baking chips consisting of 60% cocao contain 270mg of Theobromine per oz (450mg/oz x 0.6 = 270mg/oz). Chocolate bars and chips are popular in many of our holiday baking recipes. These products are usually made from unsweetened baker’s chocolate, which can be toxic to dogs, even in small amounts. It is important to remember that just because your dog ate a certain amount of chocolate one time and was “fine” does NOT mean that the next time will be the same or that another dog of a similar size can handle a seemingly similar quantity. You may have only noticed your dog pacing or seeming hyperactive, but internally, your pet may have been experiencing intermittent tachyarrhythmia (an abnormally fast heart rate or irregular beats). And while that didn’t progress to a serious situation in one instance doesn’t mean your pooch will be so lucky in the future. PetMd has a nifty tool on their website – a chocolate toxicity meter – which lets you put in your pet’s weight and the type of chocolate and amount they ate to determine the level of toxicity. This is a good starting point if you suspect chocolate ingestion. Sometimes inducing vomiting after a chocolate ingestion can help prevent toxicity, but this should only be done under the direction of a veterinarian. There is a certain time frame when this is most useful and there are potential contraindications when you would not want to do this. While we’re on the subject of dangerous compounds in sweet treats, let’s talk about xylitol. Xylitol is a sugar substitute used in many types of gum, mints, baked goods, oral and dental care products like mouthwash and toothpaste, and even some sugar-free peanut butters. The best solution is, of course, to try to keep your furry friends out of your chocolate stash and holiday treats! If they do ingest some chocolate or sugarless candy that may contain xylitol, contact a veterinarian or the ASPCA Poison Control hotline at (888)426-4435 (Be prepared with your dog’s approximate weight, the type, and the number of ounces ingested). LVH’s Dr. Jennifer Boyle contributed to this article. ← Interested in holiday or year-end charitable giving? Consider LVH’s Benevolent Fund.